As summer temperatures rise, so do worries about conditions in state prisons. The Texas Civil Rights Project on Tuesday filed a wrongful death lawsuit against Texas prison officials on behalf of the family of an inmate who died last summer. Update: This story has been updated to include response from the Texas Department of Criminal Justice. If her father had survived his time in jail, Stephanie Kingrey said, he would have been returning home from his 11-month sentence this week. Kingrey’s father, Larry Gene McCollum, suffered heat stroke last July at the Hutchins State Jail in Dallas and died. This morning, the Texas Civil Rights Project and Austin attorney Jeff Edwards filed a wrongful death lawsuit Tuesday against Texas prison officials on the family’s behalf. As summer temperatures rise, annual worries about high temperatures in Texas jails have returned. Only 21 of the 111 Texas Department of Criminal Justice units are fully air-conditioned, TDCJ spokesman Jason Clark said. The remaining 90 are partially air-conditioned, usually in the medical or education area of the unit rather than the housing area. Clark declined to comment specifically on McCollum's case due to the pending litigation. McCollum, who was 58 when he died, had served one month in the McLennan County Jail after being convicted of forgery. He was then transferred to the Hutchins facility. Kingrey and her brother Stephen McCollum said their father had heard that conditions there would be bad, and he was worried about the heat. “He didn’t want to go but he didn’t have a choice,” Kingrey said. Scott Medlock, director of the TCRP's prisoners’ rights program, said the Hutchins facility was not fully air-conditioned and the temperature inside the jail last summer was nearly the same as outside, about 96 degrees with a heat index between dangerous and extremely dangerous. Medlock said that McCollum's body temperature was above 109 degrees when he arrived at the hospital. Prison officials distributed limited amounts of water to the inmates, but because McCollum had not yet received an identification card, he could not purchase a cup to drink the water. He could not purchase a fan, either. After three days at the state jail, on July 22, 2011, McCollum collapsed. He had suffered from hypertension and was overweight, but his children said he had been relatively healthy. He died July 28, and the autopsy attributed his death to living in a hot environment. Jim Harrington, director of the Texas Civil Rights Project, said McCollum’s death did not represent an isolated incident, but that issues of heat within the prison system are a long-standing concern. 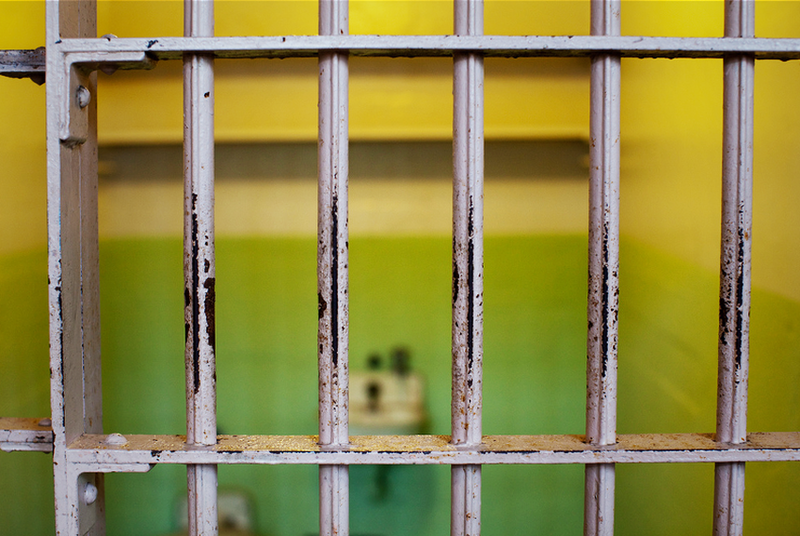 Earlier this month, the U.S. 5th Circuit Court of Appeals in New Orleans heard arguments in another lawsuit against TDCJ that the TCRP filed in 2008 alleging that conditions in its facilities are unconstitutional. The Texas Civil Rights Project sued the TDCJ in 2008 on behalf of Eugene Blackmon, a 63-year-old minimum-security inmate with high blood pressure who was serving three years in the Garza East Unit in Beeville. Blackmon is now out of prison, but he said he suffered dizziness, nausea and headaches when the temperature in his cell soared to 130 degrees. The civil rights organization said in oral arguments on June 5 that it wasn't calling for air conditioning in all the prison units, but instead for appropriate accommodations for the high temperatures. Prison officials argued in court documents that Blackmon did not show he suffered physical injury and that the issue was moot since he was no longer in that prison. If the lawsuit is successful, it could affect prison conditions in the hot, humid southern states of Texas, Louisiana and Mississippi. Medlock said nine inmates died last year from heat-related causes. As of this afternoon, 16 offenders have reported heat-related illnesses such as heat stroke and heat exhaustion since January 1 this year, Clark said. “This is not the first case we’ve had, and this is not going to be the last case, unfortunately,” Harrington said. "The heat's going to be there — this is Texas — and you don't see any remedial steps being taken to prevent what has happened with [the McCollum] family in a very tragic manner and what has happened to other families."